Rev. Adam Dan was succeeded in 1880 by Rev. Ole Kirkeberg, 30, Emmaus’ last Norwegian pastor until 1982. Kirkeberg also succeeded Dan as editor ofKirkelig Samler, but he believed in a greater emphasis on the importance of holy scripture than did Pastor Dan. 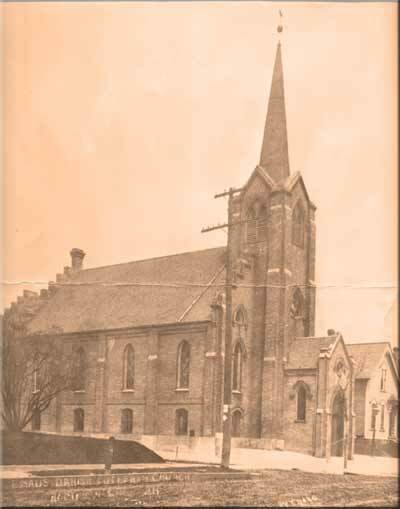 When he left Racine in 1882, the congregation had grown to 172 adult members. He was succeeded by Rev. Theodor C. Lyngby, 26, (pictured below left) who, like Kirkeberg, also served as pastor of St. Mary’s Lutheran Church in Kenosha and as editor of Kirkelig Samler. In the Danish-American churches’ contentious debate over Grundvigianism, he, too, was a proponent of the primacy of scripture. Where Lyngby became embroiled in controversy was the matter of a dance at Dania Hall in the fall of 1887. Lyngby and several members of the church accepted an invitation to a banquet honoring a group of visiting Danish officers, the affair ending with a dance ball. At the next meeting of the congregation, a petition was submitted by several members reading “Does the congregation approve of the presence of the pastor and several members at the recent ball in Dania Hall?” After a debate full of personal attacks, the majority voted to leave such matters up to the participants’ own consciences. The disgruntled minority then left the congregation to follow Rev. P. C. Trandberg, a charismatic preacher who had filled Emmaus’ pulpit during Lyngby’s vacation the previous year. Lyngby returned to Denmark in 1888.In 1889, during the pastorate of Rev. Herman J. Dahlstrom, Immanuel Lutheran Church was founded by followers of Rev. Trandberg; Dahlstrom was a member of Immanuel after his retirement. Dahlstrom resigned as Emmaus’ pastor after a congregational meeting in 1893 that would tear the national Danish-American church apart. The congregation voted to propose the dissolution of the national church. Emmaus hosted the annual conference of the Danish-American church in 1893, where, as a compromise to dissolution, delegates voted to adopt a new constitution which had been hammered out at a special conference in Chicago. Ratification included an amendment, hurriedly adopted late in the conference, requiring all pastors and congregations of the Danish-American church to sign the new constitution within three months. Whereas the new constitution was designed to heal the rift in the church between “happy Danes” and “holy Danes,” this amendment only made things worse. Before the conference adjourned, dissenting pastors met in the next-door home of Lars Mogensen to found a breakaway church, the Danish Evangelical Lutheran Church in North America. Even Emmaus could not agree to the new constitution. Two dissident groups broke away from Emmaus in 1896, founding Bethania Lutheran Church (a Grundtvigian or “Happy Dane” faction; Bethania was the only daughter congregation of Emmaus to belong to the Danish Evangelical Lutheran Church, later the American Evangelical Lutheran Church, until the creation of the ELCA in 1987) and Our Savior’s Lutheran Church. Emmaus’ pastor at the time, Rev. Nicolai V. Holm, resigned as a result of Emmaus’ role in the break-up of the national church, refusing to accept a call to return; he accepted a call to be pastor of Our Savior’s, however. In 1897 under Rev. Christian H. Jensen, Emmaus voted to join the United Danish Evangelical Lutheran Church in America (UDELCA; “Danish” was not dropped from the church name until 1946). Jensen was 31 when he began as pastor to Emmaus’ 170 “contributing members.” By 1903, that number had grown to 238; a total of 614 men, women and children belonged to the congregation. 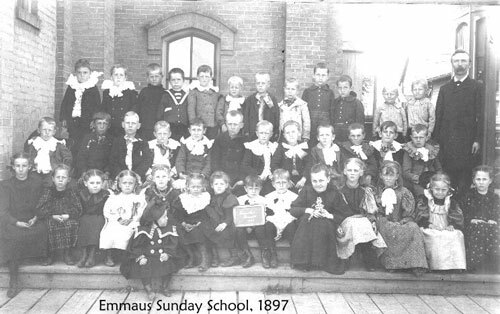 Christian education in the Danish language appears to have been an area of great success in the church; enrollment at Emmaus’ year-round parochial school (founded in 1877) grew to 72 children during Jensen’s pastorate. At this high-water mark in the history of Danish education in America, the UDELCA prevailed upon Emmaus to spearhead the building of Luther College at 6th Street and Kinzie Avenue; Jensen left Emmaus in 1904 to become president of the college. Luther College, however, was a dismal failure. Only one of its students went on to be a Lutheran pastor, and enrollment was never robust. 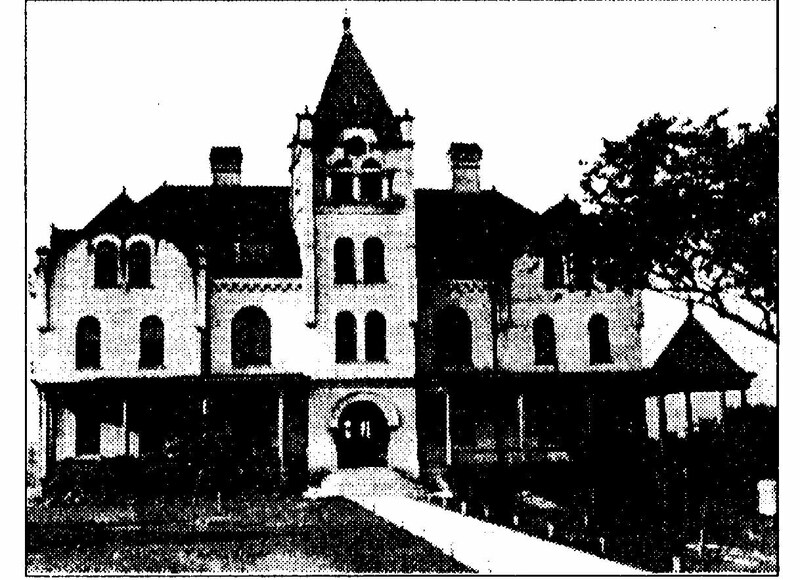 Even after Jensen’s successor as president poured $50,000 of his own money into the college, the college shut its doors in 1915. The building was used as a boarding house for J.I. Case workers during World War I, then as the Cordelia Boarding House for Women. First Evangelical Lutheran Church of the Holy Communion bought the college in 1925 to use as a parish house, and it remains as the nucleus of Holy Communion Lutheran Church‘s parish building. Meanwhile, Emmaus’ parochial school shut down save for the summer months beginning in 1913, when teacher Eline Arildsen turned down an offer to continue teaching for an annual salary of $500. In the years leading up to World War I, Rev. Elias Provensen, 35, accepted a call to Emmaus in 1904. Provensen’s health, however, was poor, and Rev. Dahlstrom was often called upon to take over his pastoral duties. Provensen resigned in 1909 and was replaced by Rev. Soren C. Eriksen, 30. 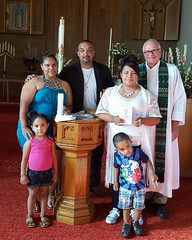 During Eriksen’s pastorate, the congregation considered and rejected the idea of moving to a location in West Racine. Instead, the congregation began mission work in that part of town. As a result of that mission work, in 1913, between the departure of Rev. Eriksen and the return of Rev. 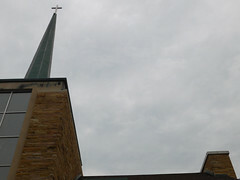 Jensen, 38 members left Emmaus to found Gethsemane Lutheran Church on Racine’s west side. The New York Times printed a sketch of Rev. & Mrs. Holm in its Oct. 28, 1894 edition.